The history of Observing Cinco de Mayo in the United States. Cinco de Mayo can be more than the 5th of May, or Mexico battle during Franco-Mexican War (1861-1867). Cinco de Mayo can used to start your five health and fitness strategies that you can follow to prevent seven of the top ten causes of death in the United States. You can select the Cinco de Mayo logo above to learn more about this day that is celebrated more in the United States than in Mexico. 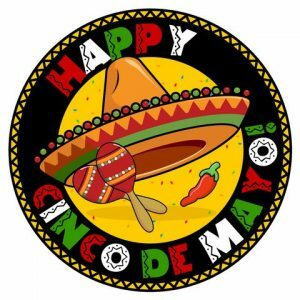 Cinco de Mayo, or 5th of May, is a great reason to look at FIVE Factors for your health and fitness that forms the acronym DELTA– Diet, Exercise, Lifestyle, Time, and Awareness. Your goal should include having an active lifestyle now and when you retire. Just like investment strategy for retirement, it the small incremental things we do routinely that provides the biggest benefits and impact over time. And like retirement investment, you can’t start too early, nor too late, but the sooner the better. An on going goal is to invest in a retirement plan that will provide the means to help you enjoy an independent lifestyle. Like Cinco de Mayo is a great day that can serve as a day you can develop an independent lifestyle. This does not have to be restricted to a financial program alone, but a health and fitness program also. There aren’t many financial investment options out there that provide a 600% return on your investment in less than a year like a good health and fitness program can. 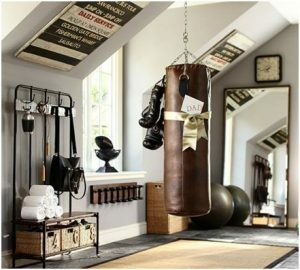 You can even set up a home gym with a minimum investment and for convenience. Between setting up my home gym to perform my fitness regimen and developing the SR-925 Diet Program, I lost 9- inches in my waistline in less than 9-months. This was between 2014 and 2015, and I have kept it off. I went from a 37- inch waistline down to a 29- inch waistline. 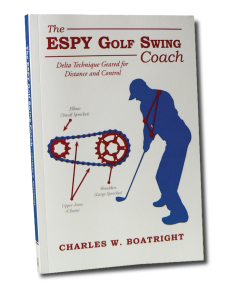 I had to, After I retired in 2014, I started doing golf training videos to promote my book, The ESPY Golf Swing Coach. The first video I did was all it took to convince me that I had to lose weight and inches. Seven of the top 10 diseases and causes of death listed above has controlling factors tied to your Diet, Exercise, Lifestyle, Time, and Awareness. The biggest factor in all these is diet, of course, followed by fitness. Exercise alone cannot take the place of a good balance diet program. One major factor in diet is the intake of sugar and starches. We must restrict the intake of both sugar and starches in our diets. This is at the heart of my diet program, no pun intended. My SR-925 Diet Program (FREE for your use, see the link below). A major component of my diet program is Circadian Rhythm, governing the best time period to eat your meals. This is reflected in the 925 nomenclature. The link explains this in detail. Also the number 2 just doesn’t represent the range of time (i.e., 9 am. to 5 pm.) but the maximum time your body consumes the most food. Research shows that glucose levels interfere with the nerve receptors in the brain leading to Alzheimer’s disease. I listed Alzheimer’s disease as one of the seven causes of death that can effected to some degree by diet. This is not a mistake. New information links the consumption of sugar and starches as one factor contributing to the onset of Alzheimer’s disease. Research shows that glucose levels interfere with the nerve receptors in the brain. Once again, this proves what is bad for the heart and body is also bad for the brain. Cinco de Mayo is a great time to start your independent lifestyle based on fitness routine. The best approach in preventing seven of the top 10- causes of death in the United States is using the DELTA Concept to maintain our health and fitness. Fitness includes more than exercise, it includes Ergonomics as well. The factors to maintain your health and fitness in order to prevent the onset of these seven ravaging diseases and causes of death is to maintain a healthy Diet plan and fitness schedule, Exercise regularly, maintain a healthy Lifestyle, take Time for yourself, and be Aware of your numbers and other factors. Reduces your healthcare cost. There is a 6:1 ratio on your investment of time and money. For every dollar in time and money you invest in your health and fitness, you will receive a six dollar savings in healthcare cost. Enjoying a full retirement. Why work for 35 to 45 years doing what you have to do and not be able to enjoy years of what you want to do? In my case, it is to enjoy my family and hobbies that include my golf game, writing, and promoting my book. These are just two of the major benefits of a health and fitness program. D is for Diet- Diet is just as important as exercise in maintaining your health and fitness. To some, diet is the major obstacle in reaching your goals. But that doesn’t have to be the case. 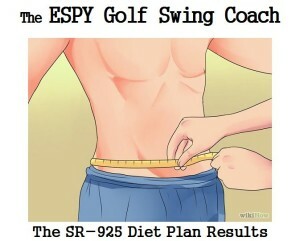 I invested two years developing a diet program that I call the concept of the SR-925 Diet Program. You can select the link to read the details of this very successful diet program FREE for you to use. 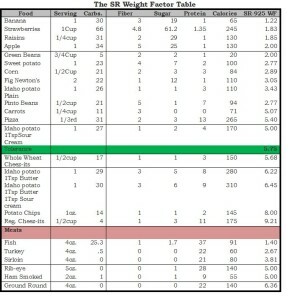 Basically, the diet plan is based on when you eat and less on what you eat, except for sugar and starches. 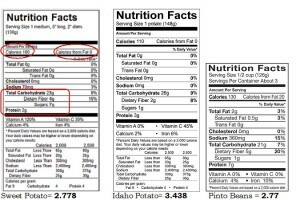 The SR stands for Sugar/Starch Restriction in the food you select to eat between 9 a.m. to 5 p.m. All the information you need for making the proper Food Selections for the SR-925 Diet Program is right in the Nutrition Label on food containers, or your I-Phone APP. Most, if not all, restaurants have nutrition information for their menu items. My Results of the SR-925 Diet Program were amazing as I stated above in this article. In three months, I lost six-inches in my waistline. After just 9-months, I lost an additional two-and-a-half inches. I started my program in December of 2014 and by July of 2015, I lost eight inches. The major factor of the SR-925 Diet Program is that I have maintained my 29-inch waistline after three years, no yo-yo experience. And the IMPORTANT part of this SR-925 Diet Program is that IT COSTS YOU NOTHING, except for the pounds you will lose. Just select on each link below and follow the simple directions. All the information is there that you will need to lose weight or inches, and keep it off. E is for Exercise that is the second critical component in your health and fitness. While exercise is a critical component, the diet component of the DELTA Concept is your biggest hitter. The reason is due to the fact that one Big Mac has 563 calories. That’s one 40-minute workout session for some people. To address my exercise component, I set up a home gym over my garage where I follow the CASPER Workout Program. This is a golf trainer home gym that I use to maintain my power and speed for my golf game. 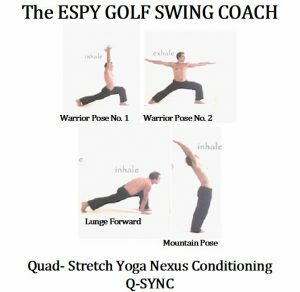 While this is tailored for my golf game, it is also great for a person’s general fitness, because it works the core muscles. The CASPER link will explain what you will need to get started. 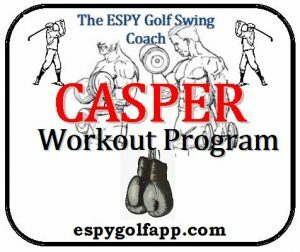 Also, to give me a jump-start for my CASPER workout, I start with my cup of coffee, or my two cups of coffee. Also don’t get discourage by thinking an exercise program has to be a strenuous, sweat a lot or be based on an Olympic format to be effective. Exercise can be just as recreational as an exercise program such as walking and light weights. Working with a medicine ball offers a great weight training option. 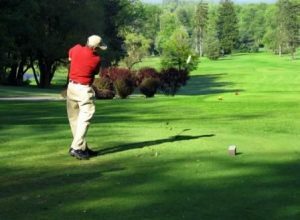 Golf is a great sport to maintain strength, aerobic, or cardio health and fitness. I play 18-holes three to four times per week where I walk the course. L is for Lifestyle- Like the quote says, “The body can’t go where the mind has not been.” To address the lifestyle component, you will need to address the mental issue in your life. This includes building your faith, meditating, reading, and taking time to enjoy something you like. In my case, it is reading, golfing, woodworking, baking, writing, and coaching. I use my coaching time to help others, or giving back what I had the pleasure of acquiring in my life in order to give back to others to make their life better. Also include as part of your lifestyle change yoga- great for meditation and flexibility exercise. T is the Time component. The key to discipline in diet, exercise, and lifestyle is that you have to make the time, don’t think in terms of not having time for these other three components. Instead, you have to think in terms of their benefit, or developing a schedule and checking off what you have accomplished each and every day. The major key in the time component is to make time for yourself. There is a very important philosophy that you need to apply to your daily schedule, In quietness and confidence shall be your strength. The main theme of time is to make time for yourself to exercise, relax, and enjoy something you love. A is for Awareness, awareness of factors like family history and your numbers that directly or indirectly affect your life. Ignorance is not bliss. Awareness, like knowledge, is power for your life. And nowhere is awareness more essential than in athletics. One reason is because of the instant results of cause and effect that a diet and exercise program has. Using the SR-925 Diet Program, I started see results within four weeks. I like to measure in inches instead of weigh in pounds my progress. Proper weight control and management do not have to be a Catch-22, MISSION IMPOSSIBLE, or THE IMPOSSIBLE DREAM facing you. I spent from age 36, up to age 56, fighting my battle with weight issues. I lost significantly more battles than I won. And the ones I won were short-lived, less than a couple of months. I tried a series of diet programs with the same results, ending in failure and discouragement. Another failed strategy is relying just on an exercise strategy alone. One reason why your body changes with time is that you aren’t burning the same amount of calories that you did during your youth. But the major component of weight control is a proper diet and eating schedule; this is the Achilles heel for most people and their diet plans. Your body operates on a Circadian Rhythm. This is not just for sleeping or the learning processes. This is why exercising alone will not accomplish a healthy weight. So take Cinco de Mayo and the DELTA Program and change your health and the ability to have an active lifestyle now, today. 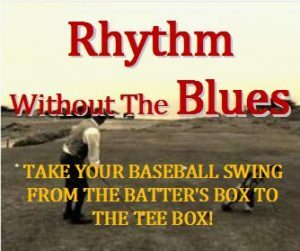 I’m 59 years old, play 18-holes of golf, three to four times per week, and walk the course (10.15 miles per round). This is the benefit of the DELTA Program. This book is a self-coaching forum that provides basic and advanced fundamentals to help you play golf with confidence and start lowering your handicap.